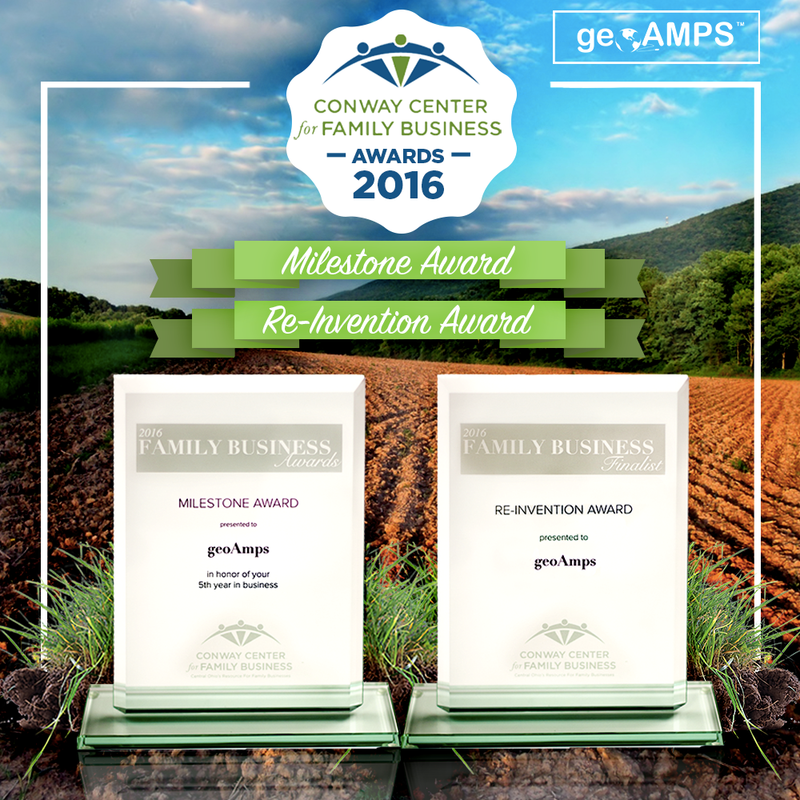 The 18th Annual Conway Center for Family Business Awards Ceremony was held on Monday in Columbus, Ohio, where geoAMPS was recognized as Finalist for the Re-Invention Award. Recognizing "family businesses that have successfully adjusted their business strategy or focus to address a changing business climate or societal demands", the Re-Invention Award nomination was bestowed upon geoAMPS for expanding its enterprise software product line to meet the evolving needs of the oil & gas, transit, and utilities industries, fueling three-year sales growth of 228%. Meanwhile, geoAMPS has reorganized its expanding workforce into new teams based on job function, with one lead from each team reporting to the Leadership Committee. A third factor behind geoAMPS Re-Invention was the opening of a new office with a dedicated team of programmers, keeping all development work in-house for increased responsiveness and reduced costs. Additionally, the Conway Center honored geoAMPS with a Milestone Award recognizing five years of business excellence. The Conway Center for Family Business is a 501(c)3 non-profit that provides educational resources and programs for family-owned businesses. The Center's mission is to help family businesses continue to be profitable and successful, to assist family business owners with the transition of their business to the next generations, to celebrate the accomplishments of outstanding family businesses within our community, and to increase awareness of the positive impact family businesses have on the Central Ohio economy.